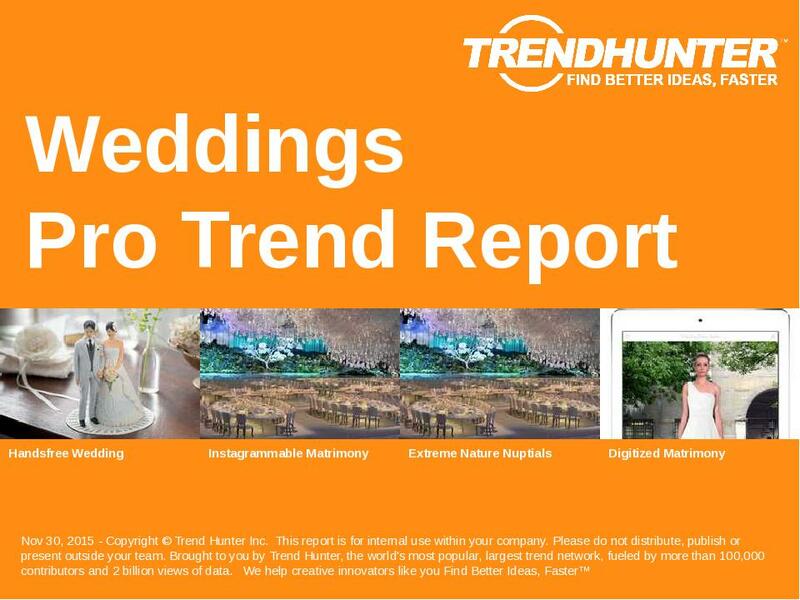 Find Better Ideas, Faster ® with a weddings trend report, our PRO Dashboard and 80+ categories of premium trend reports. Our Weddings Trend Report identifies patterns in the wedding industry, from engagement rings to wedding venues. Though weddings are a globally recognized rite of passage, the right wedding cake, wedding dress or even wedding photographer evolves in style and demand from year to year. The evolving wedding industry has resulted in changing needs for a wedding planner, dress designer, wedding cake specialist and event coordinator. 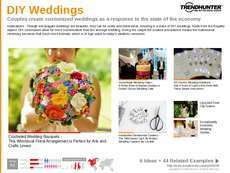 It is these professionals within the wedding industry, as well as the events industry, who will benefit from this research. The Weddings Trend Report will serve as a helpful tool to guide your way through the world of wedding trends, translating the ever-changing marriage market into an organized compilation of patterns that will help you innovate for the coming year. 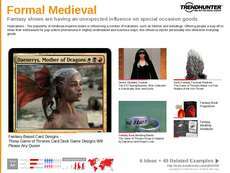 Last researched on Mar 14, 2019, the Weddings research topic includes our full archive for the last few years, including 33 Weddings insights and 222 examples of weddings market research, including: engagements, engagement rings, wedding venues, wedding trends, wedding cakes, wedding dresses, wedding photography, wedding industry, marriage and weddings trends. PLUS, the report is now bundled with the full Trend Report Library, including 80+ categories of reports and our past archive, including several thousand pages of insight. 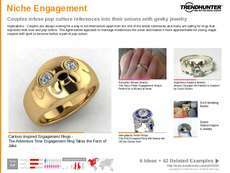 PLUS 25 more Weddings Consumer Insights and 222 examples!